If it hasn’t happened to you yet, it will. One of our desert dwellers will slither or crawl onto your patio, into you garage, or worse into your home. Are you prepared to deal with these visitors? 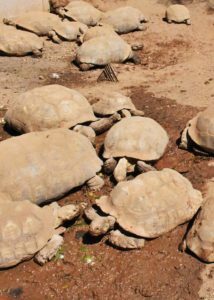 Reptiles have been around here longer than we have, and the largest reptile sanctuary in the country is right here in our backyard. 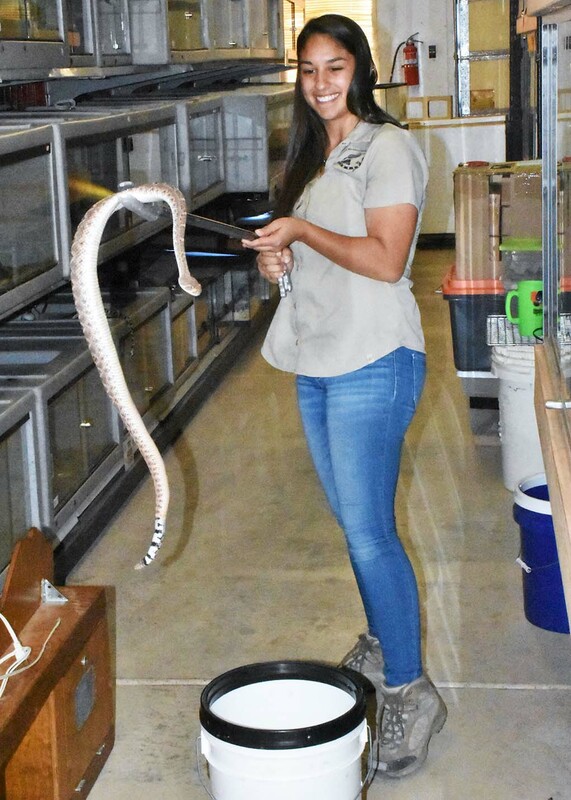 The Phoenix Herpetological Society (PHS) cares for hundreds of animals that have been confiscated or abandoned throughout Arizona or dropped off at the sanctuary. They also have a snake hotline for removal of the interlopers. The PHS was founded in 2001 to promote conservation and preservation of native and non-native reptiles through education, rehabilitation, rescue, and relocation. Three reptile lovers learned there was no place for someone to take a reptile to if they no longer wanted it or to get information on how to care for a reptile they might legally possess. Most reptiles found illegally owned in the state were euthanized. There were lots of rescue options for fluffy, furry, or feathered animals, but nothing for reptiles. It’s a bias that still exists today even when trying to get grants for funds to operate the facility. Food costs alone for the sanctuary are over $2000 a month with an average of 600 pounds of food a day being consumed. Electicrity costs are $9000 a year. According to Daniel Marchand, Executive Curator, people sometimes don’t get a reptile sanctuary. They see it in their mind as funding something that can kill you. There is a dedicated group of over 20 volunteers that donate their services on the sanctuary’s two and a half acres. Most of the animals were abandoned, abused, or confiscated from people who illegally possessed them. Yes, there are two snakes at the sanctuary that killed their owners. However, the snakes should never have been in captivity and now cannot be released back into the wild. Marchand points out, it’s the cute furry creatures that carry human diseases, not reptiles. For example animals that carry rabies, plague, (which has been found in Arizona) and other diseases are often the primary diet of snakes. So snakes help keep the animals and the diseases in check. The PHS is contacted by humane societies across the U.S. for assistance in placement, care, and treatment of reptiles. 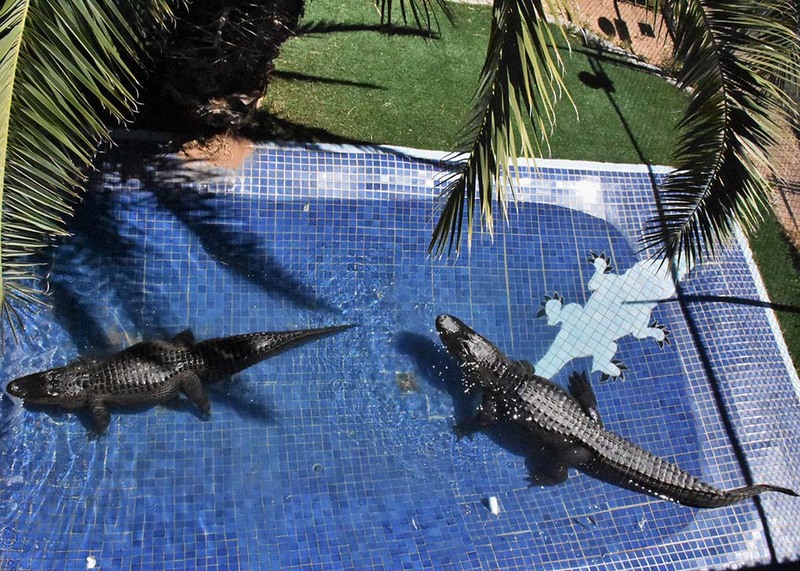 PHS is often seen as the go-to source for anything reptilian, from tiny lizard to huge crocodiles. The sanctuary is very big on education and is a frequent visitor to valley schools. They also offer summer camps and a wide variety of educational programs, is a great idea for a child’s birthday party, as well as offers tours of the sanctuary. A class on venomous snakes will be held on Tuesday April 10. It includes a lecture portion as well as a hands on portion on relocating a snake. Attendees will practice on a nonvenomous snake and may move on to a live rattlesnake with instructor approval. Participants are not required to take part in the hands on part. A number of attendees go for the lecture portion and to observe others doing the hands on. There is a cost for the class. To register for this class or to get information on any other classes or to tour the PHS go to www.phoenixherp.com.